The human ear is one of the most remarkable structures of the human body, not only because of the beauty and unlikelihood of its structure, but also because of its remarkable sensitivity to sounds. 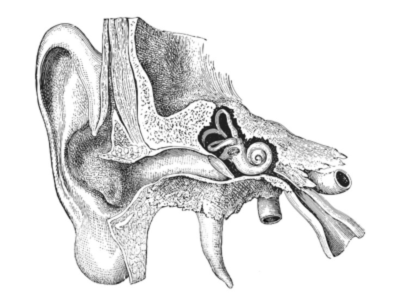 From an anatomical point of view, the ear is divided into 3 parts: the outer, middle and inner ear. Hearing loss is a hidden condition which greatly impacts on quality of life. When we experience hearing loss it can be for a wide variety of reasons. For example, the simplest reason could be a wax blockage but there are also more complex reasons why hearing loss occurs. Speaking with an ENT Consultant here at 150 Harley Street will reassure you from the beginning. London Hearing resides here at 150 Harley Street and is a centre of excellence for hearing diagnostics and advice, so if your ENT Consultant needs investigations or advice on the same day this can all be offered here.